A little over three years ago, Capcom producer Yoshiaki Hirabayashi announced "we do it" -- they were remaking Resident Evil 2, first released on the original PlayStation 21 years ago this week. This announcement followed some teasing and genuine calls for feedback from the Resident Evil team on whether a remake was worth pursuing. It came a few months after the announcement at that year’s E3 of another remake, Final Fantasy VII, which might anecdotally be the most requested remake ever in games. Now, three-and-a-bit years later since official confirmation of its development, REMake 2 is about to hit on PlayStation 4, Xbox One, and PC this coming Friday. And the consensus seems to be it’s the standard bearer for what remakes should be about: bringing a game to modern standards, but keeping the ethos of what made the original so beloved in the first place. Shacknews gave the game a 9/10 (disclosure: Greenlit Content, also owns GameDaily.biz, counts Shacknews among its clients), said that we’re already looking at a GOTY contender with RE2. And we’re only in the early stages of late-January. 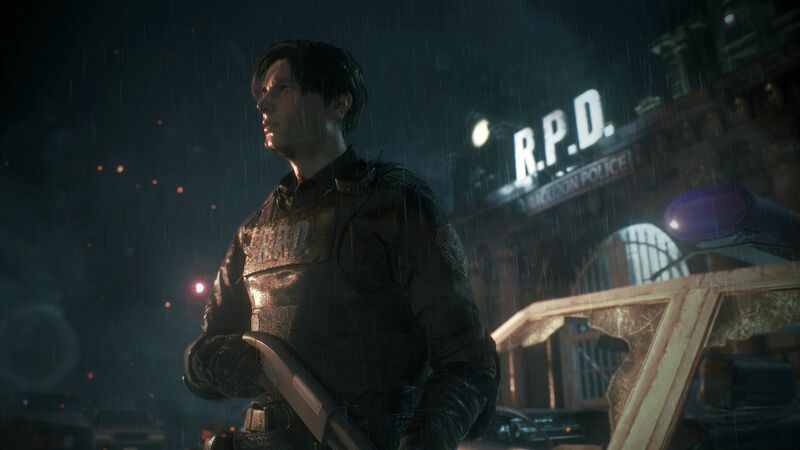 “Don't labor under the delusion that, if you played the original Resident Evil 2, that you should skip this one for some reason,” the review reads. “There’s no excuse of ‘I’ve already played the original, so I don’t need to grab this one.’ You couldn’t be more wrong if that’s your line of thinking. There were a lot of reviews that focused on the culture of remakes, and how they’re made, but one review decided to touch upon the zombies trend in pop culture over the past ten years. 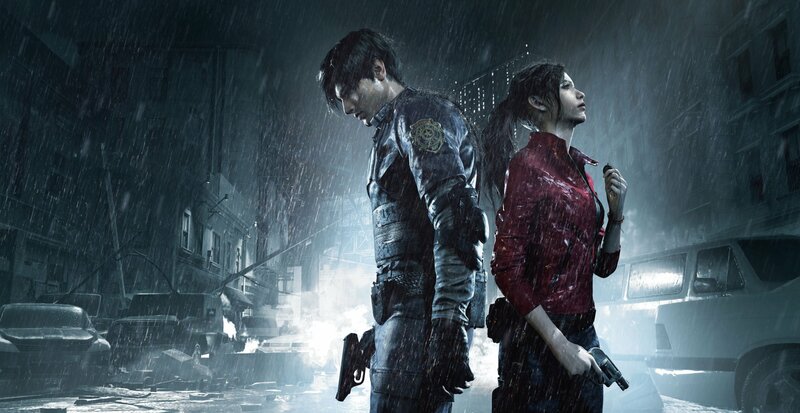 Wen’s review added Resident Evil 2 has been able to bring back the old days of survival horror that not even Shinji Mikami, Resident Evil’s father turned creator of The Evil Within series at the Bethesda-owned Tango Gameworks, has been unable to produce in his time away from the RE series. There can be delicacies in remaking something so beloved. Vincent pointed out in her review for Shacknews that there are some elements that made the game so genuinely terrifying 20+ years ago aren’t in this iteration. Eurogamer’s Aoife Wilson gave it a recommended, noting that despite a change from the fixed cameras of the original game to an over the shoulder view similar to the one found in Resident Evil 4, 5 and 6, “it's a testament to the layout that locations still manage to be both claustrophobic and oppressive.” And it’s that claustrophobia that Wilson mentioned in her review that is touched upon in others. “I spent most of my first playthrough carefully walking around (when I wasn’t being chased), checking corners and shining my torch into every nook and cranny, pausing at every zombie groan heard in the distance,” said Gary Bailey of God is a Geek in their 10/10 review. “I had to watch my ammo, choosing whether to take out a zombie or bypass them entirely. Inventory management is key in Resident Evil 2, as you strike that balance between carrying the right ammo and health items, while leaving yourself room to pick up new items and keys. Added Heather Alexandra in her review on Kotaku: “The remake instead adds tension by making its zombie hordes a resilience and menace unlike anything seen in the series before. Even when playing at the easiest setting, the player needs up to three shots to a zombie’s skull to dispatch of them. Once fallen, zombies can quickly rise again. 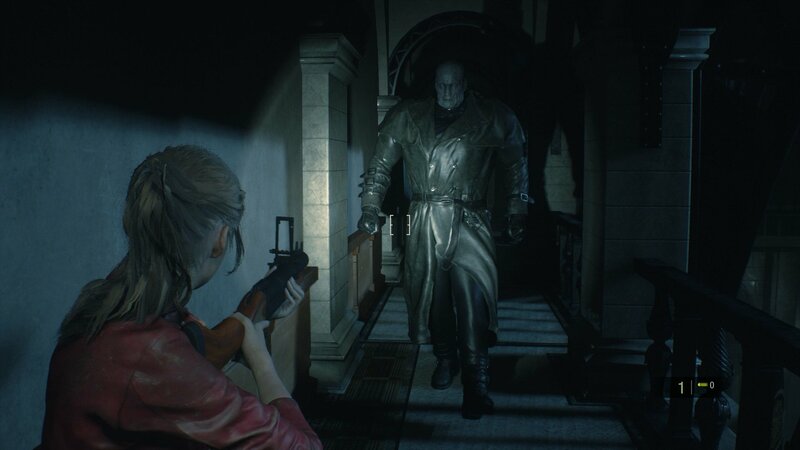 The one element that kept coming up a lot is Mr X/The Tyrant, the tormenter who chases you at numerous stages in the game, and is instrumental to the experience of Resident Evil 2. In his review for VG247, Kirk McKeand harkened the use of Mr X to the xenomorph in Creative Assembly’s masterpiece Alien Isolation, noting he’s basically free to do however he pleases. But the player can also use that to their advantage. But that being said, the horror that comes when first facing the humongous giant is telling, and comes across in quite a few reviews. “The first few times you face him, panic takes over,” said McKeand. “The strange layout and tight corridors of the police station – a former museum – means that running without a purpose equals death. You have to constantly consult your map. Limited inventory capacity also forces you to make choices as to what key items to carry at any time, since they will be taking the space of ammo and healing items. Added Knoop in his Daily Dot review: “I don’t know how they did it, but Mr. X might be the most terrifying persistent boss character in a video game since Alien: Isolation’s xenomorph stalked us in space. 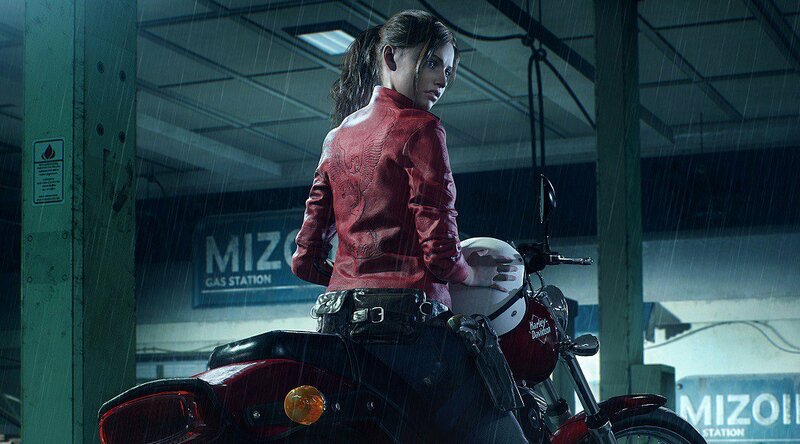 Intimidatingly well-done redesign aside, real applause must go to the binaural audio that permeates the whole of Resident Evil 2. When you’re facing down a small group of zombies or just crawling through a rain-soaked hallway, it’s grand stuff, but when this jerk is hunting you down, it’s positively pants-ruining. And noted Matt Kim in his 4.5/5 review for USGamer: “I recall once how I was at a location I thought Mr. X couldn't access, only to look up and see him enter through another door in the area. Then he noticed me looking at him and turned around to come after me. I never felt safe in Resident Evil 2 and it was terrifying." That’s not to say Mr X’s presence can’t get overbearing at times. In his 9/10 review for GameSpot, Alessandro Fillari said it can ruin the immersion of the game at times, even disrupting its pacing. “This is especially frustrating when you're simply trying to acquire an item or solve a puzzle in a room that the Tyrant and zombies frequent,” he said. 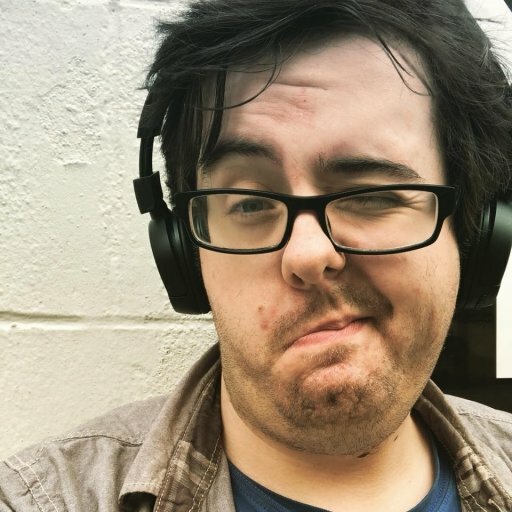 “Resident Evil 2 is a remake that feels incredibly faithful to the original, paying homage through subtle music cues that recall classic pieces from the 1998 soundtrack, as well as telling the same story for a more modern audience.” added Bailey in his review for God is a Geek. “Not to sell it short however, as it’s far more than a simple remake: It constantly throws new things at you during the 12-15 hours of that first full playthrough. It feels like a whole new game that anyone can enjoy, as long as they don’t mind changing their underwear after each gameplay session. This is not just Resident Evil for a new generation. And it’s on that final point by McKeand that’s worth touching on. Every January since 2017, Capcom has released GOTY contenders, starting with Resident Evil 7, whose shift to first-person ignited once again a series that was becoming stagnant. And last year’s Monster Hunter World exploded the series to new heights, stepping out as a niche series in the west to become a huge tentpole series for the publisher going forward worldwide beyond its mega success in Japan. All in all, Resident Evil 2 has made quite the impression on game critics across the board (and across the ocean in Europe). The horror survival game is a cultural touchstone for many gamers in their adult years, as many of us have spent some time (whether it's in RE2, Code Veronica, the original Resident Evil, or the latest installation, Resident Evil 7) enmeshed in Raccoon City and its virulent inhabitants.